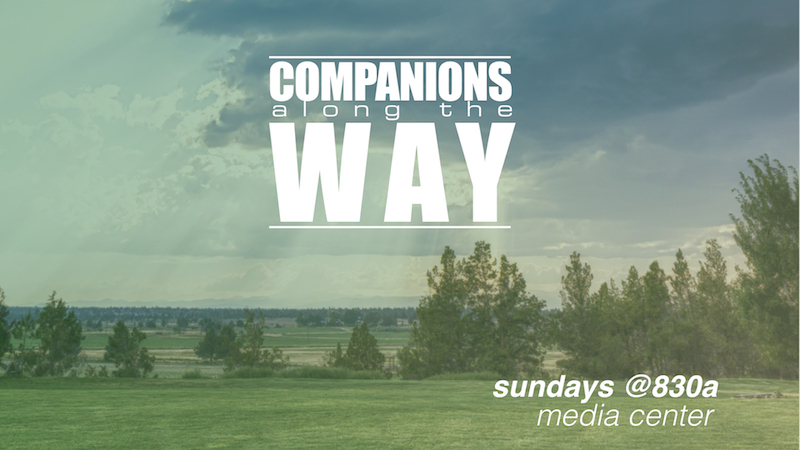 Companions along the Way offers a structured environment where we can share our spiritual journeys in deep confidentiality with the full attention of others who are also searching for the deeper meanings of faith in the twists and turns of life. Our format is that each person in the group shares authentically what is happening with us spiritually; we pause for a couple of minutes of prayer in silence to determine how the Spirit is prompting how we might respond in encouragement to you; once we have shared our reflections, we then spend another two minutes in silent prayer for you. We close by praying the Lord’s Prayer together. You are invited to join us Sunday mornings at 8:30 am in the Media Center.